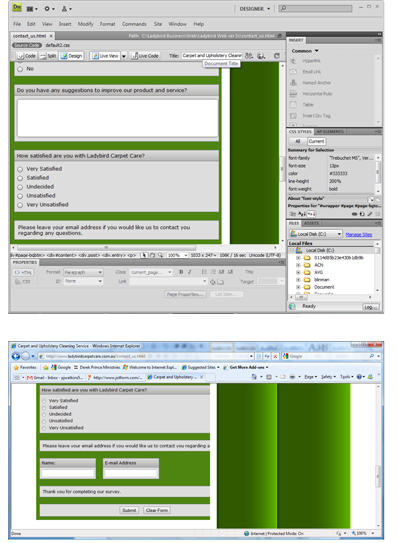 Survey form in dreamweaver appears fine until it is published to the web then form appears clipped? the form width and set it to 500. 3. Choose 'Form Width' and change the value to 500. If you copied the form source to dreamweaver you can also directly edit the css code.